We had a major snow storm overnight in New York, and I got stuck at home today. Besides the obvious great workout of shoveling your driveway – I was inspired to come up with a workout you can do at home – without any special equipment, just using your own body weight. It’s amazing what you can do with some imagination, and I guarantee this will make you sweat! No gym membership required! If you don’t know what an exercise is, google works! 🙂 Work at your own level if it’s too hard, do what you can and if it’s too easy, add more reps/sets… it’s about pushing yourself, you’ll be glad you did!! Finish strong with 100 Jumping Jacks or if you have space in your house, 100 walking lunges! 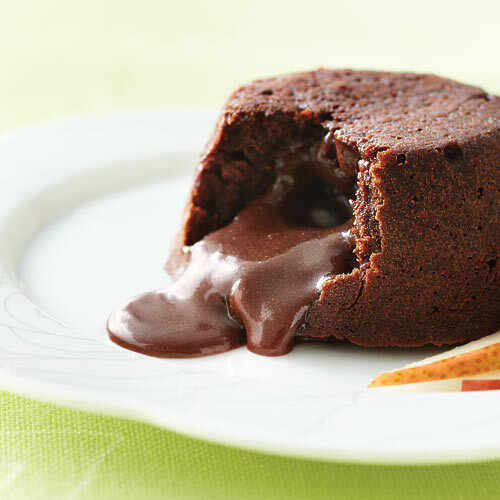 And now you’ve deserved a treat – a gooey chocolate fondant like cupcake which gives you about 235 calories, 35g of protein, 18g of carbs and 3.5g of fat. Perfect for after your workout! 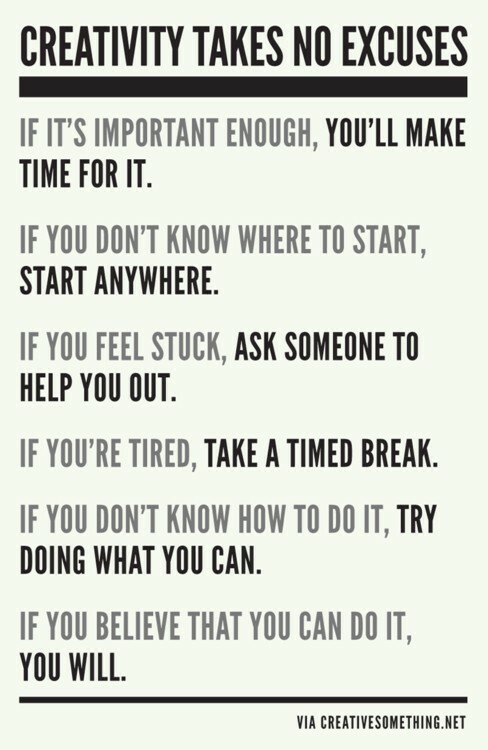 Love creativity takes no excuses poster! As always, thank so much for your blogs Sunny!